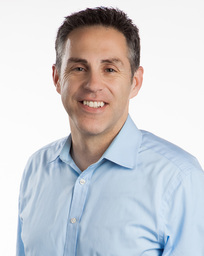 ​David’s background includes leadership, operations, entrepreneurship, and investment experience. Prior to co-founding The Firefly Group, David co-founded Spring Mill Venture Partners, a venture capital firm. Previously, he worked with ServiceMaster Ventures and served as a founding member of the ServiceMaster Home Service Center, a joint venture between Kleiner Perkins and ServiceMaster. David began his career as an officer in the U.S. Navy. He serves on a number of non-profit boards and is an adjunct faculty member at Indiana University, Kelley School of Business (Indianapolis). Drew’s background includes investment, corporate development, and public sector experience. Prior to co-founding The Firefly Group, Drew led deal origination and transaction services for a family office focused on acquiring and operating lower-middle market businesses in the Midwest. Previously, he worked in financial planning and corporate development roles at Indiana University Health. Drew began his career serving in Indiana’s Office of Management and Budget during the administration of former Governor Mitch Daniels. Derrick’s background includes entrepreneurship, leadership, operations, and investment experience. Prior to co-founding The Firefly Group, Derrick led the launch of a family office where he served as the Managing Director. In this role, he led a team focused on acquiring and operating lower-middle market businesses in the Midwest. Derrick began his career with CHV Capital, the healthcare venture capital arm of Indiana University Health. While at CHV Capital, Derrick helped start and lead Indiana University Health’s international management company. He also serves as an executive business advisor at Rise Sports Advisors. Mark’s background includes principal investing, management consulting, entrepreneurship, and investment banking experience. Prior to co-founding The Firefly Group, Mark worked in venture capital and private equity at Oak Investment Partners and Roark Capital Group. Previously, he served as a management consultant with McKinsey & Co. Mark began his career as an investment banking analyst at Goldman Sachs & Co. and as a senior executive of a start-up restaurant and entertainment venture.